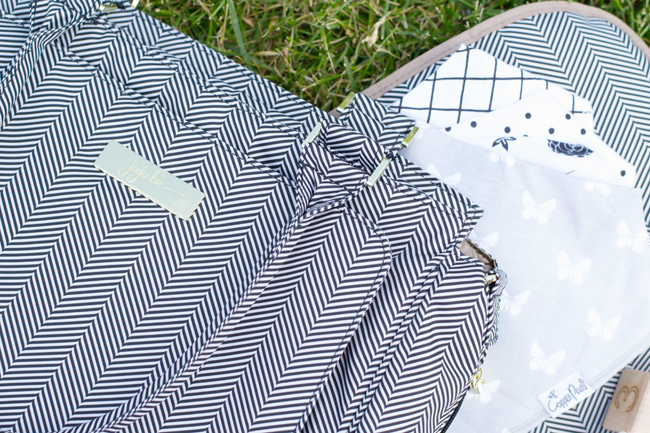 How to pick the perfect diaper bag. Explore the different types of bags for different mamma’s. This post is brought to you by our friends at The Baby Cubby. Diaper bags are so hard for me to get right. I’ve had several through the years and I finally made the perfect choice with the Ju-Ju-Be Be Classy and guides like this one from The Baby Cubby helped in that search. I’m going to be answering questions that I’ve often wondered about in how to pick the perfect diaper bag. I’d love to hear some of your feedback as well. How many pockets will you need? You definitely want one or two on the exterior to hold your bottle. I like that the Ju-Ju-Be has insulated pockets so that you don’t have to take a separate insulated bag to keep your water warm. I also like them to be easily accessible for everyone involved. If you have to dig through your bag just to find the bottle, it’s not worth it. On the interior it’s great to have 2-4 more so that diapers, medicine, Copper Pearl bandanna bibs and pacifiers all have their own dedicated space. How large should it be? I am a big bag lady – not the Erika Badu kind – the larger the purse is, I’ll buy it. 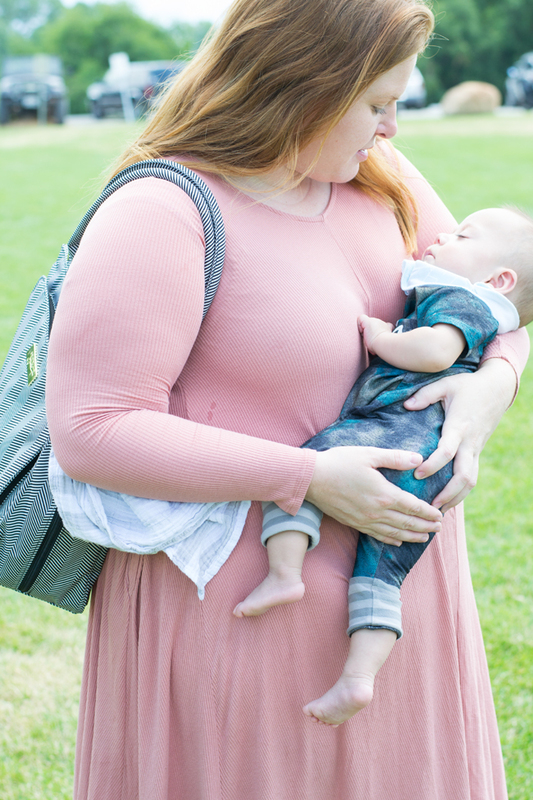 I personally think that no bigger than 18″ on the base is really needed when it comes to diaper bags. You want it to be large enough to carry all your essentials and yet easy enough to carry. Should I get the backpack or purse style? I prefer backpack style so that your arms are free to do the heavier duty things. Backpack style bags are great for traveling and walking around but it’s a little harder to keep on if you don’t have both straps around each arm. Purse style diaper bags are great for convenience. Their zippers are easily reachable and you can grab and go and not worry about other straps dragging on the ground. Look for a purse style that has a strap that can be added to convert it into a tote, I think you’ll love that. What will I put in it? Your life! It’s so important to have the little things available when you need them and you’re not always going to be home. I like to stock up my bags with at least 10 diapers and a pack of wipes. I always have an extra change of clothes on hand because they’re babies we’re taking care of. I also keep some medicine and always a spare pacifier because I lose those all the time. I’ve already lost 4 pacifier clips and I’m surprised I haven’t lost my baby…yet. What material is best? I go for a material that I know will not get holes easily (that’s obvious) but there are so many options when it comes to material it just is really about preference. I’ve had a real leather bag that to-be-honest wasn’t worth spending all that money on. I have a faux leather backpack style one and I do appreciate that one because the pleather is on the inside and out. I personally prefer the Teflon protection that the Ju-Ju-Be bag offers. It’s easily cleaned and it has my favorite ‘crumb drains’. You have no idea how much you’ll use that feature. Get one that can be wiped down or washed easily, that’ll make life so much easier than having to walk around with a giant stained bag. Should I buy a gender-neutral bag or go all in on patterns? When you invest in an item, you want it to be timeless. The same thing is true when buying diaper bags. Get one that suites your style and can be carried by both you and your partner. 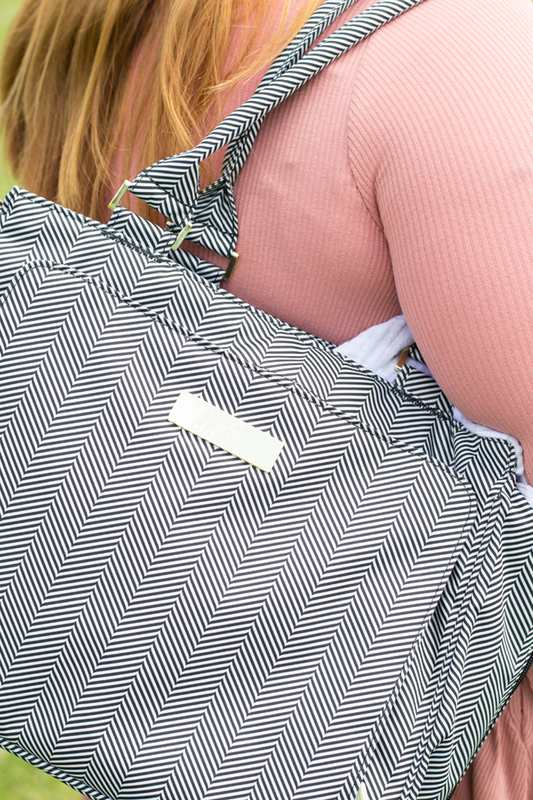 Get one that most people can’t tell it’s a diaper bag. You’re already tired from having a baby, you might as well feel like your style is somewhat amped up with a stylish bag. How much should I pay? I would rather pay once for a good quality bag than have to buy 2-3 bags at $50 a pop. You end up getting the one you want in the end anyways. Be sure to try it before you buy it. Don’t be afraid to see if there is a local boutique that carries the bag and try and bring what you think you’ll carry in it to give you an idea of functionality. If you buy online like I do, be sure to buy from a company that has a good return policy and don’t throw anything away until you’re sure it’s the right one. Will I use it as much as I think I will? Answer for me was yes. I did opt for the neutral patterned bag and so I use it as my purse and my diaper bag at the same time. 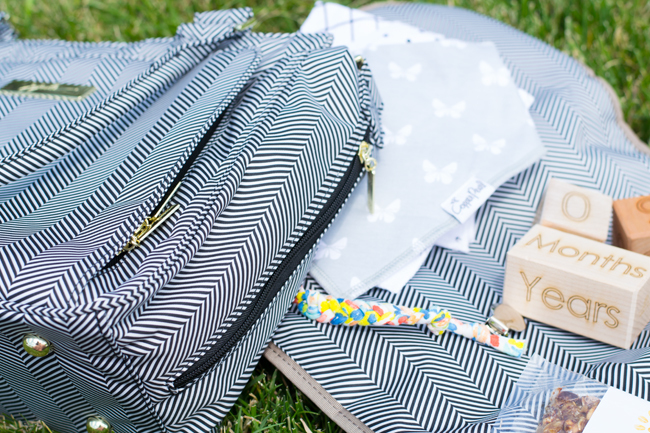 Look for bags that serve a dual purpose and ones that have places for mom, not just baby. Be sure to get the style that you will like as in the tote style, backpack style or purse style. Get one that you actually want to carry around and your investment will be well used.